Magazines are a good source of information and inspiration, one of the best ways to be updated with the last news and tends about a lot of subjects, including slow fashion. 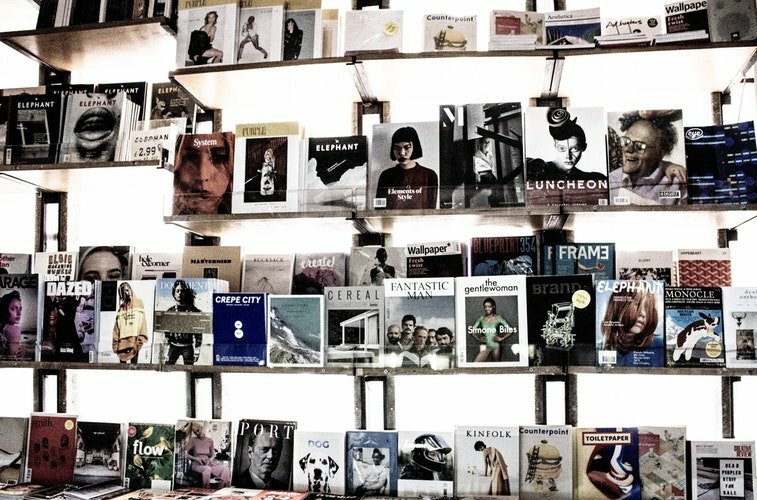 So here we have chosen our favorite Slow Fashion magazines… Find out our newsstand! This Danish based clothing magazine is main focused on slow clothing. As they say, their message is clear: they celebrate slow clothing opposed to fast fashion. They put quality, creativity and handicraft far over quantity and the color of the new season.Thanks to their articles readers can take a stand, be critical and build their wardrobe and personal identity with high quality garments that matter, give joy and answer the questions that others don’t. In addition, we love the design of the web as well, very minimalistic and elegant. The main goal of this French magazine is to change fashion. They want to reach it through 4 objectives: to make aware, to promote, to transform and to entertain. They want to show a new fashion, more conscious, more responsible but without losing the artistic side. One of the principal parts of the magazine is the critic of the present fashion model, with an environmental and social impact too high. This is the first fashion magazine without Photoshop, a magazine for women who love the inside and outside beauty, with smart and ecological contents. A magazine very different to the typical women magazines.Here, beauty, intelligence and women self-esteem get along with. Gansos Salvajes propose alternatives to the beauty canon with articles and news about fashion, beauty, art, etc. This blog bets for contents about sustainable fashion, natural cosmetics, vegan food and the slow lifestyle, a beautiful invitation to join the green universe. Green and Trendy bring fashion, ecology, sustainability, health, lifestyle and respect to the planet, the people and the animals together. One of the main beliefs of this blog is that a better world is possible and every action, small o big, is important to get it step by step. By the way, Irema Slow Fashion has appeared twice on this blog, the first time with an interview to Verónica Larrain, founder of the brand; the second one, with a post about the new stage of Irema.